Another live album where it just happened to be my first exposure to the band. 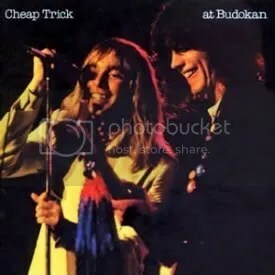 Of course, I was already familiar with most of Cheap Trick’s biggest singles. I was interested in hearing an album from them so I went with their most legendary release, which had done wonders for the band’s popularity (much like Alive! did for KISS) upon its release. This album didn’t convert me into a huge Cheap Trick fan or convince me to pick up any of their other releases, but it’s still a fine release and I suppose every rock fan should at least listen to this album once just to form their own opinion on one of rock’s most famous albums. It’s hard to argue with catchy energetic songs like “Big Eye”, “I Want You To Want Me” and “Surrender”. “Need Your Love” is my favorite track from this album. Sounds like an obvious influence for some of the trippy poppy stuff Stone Temple Pilots would do in the 90s.